Find Pittsboro, IN Homes for sale. View Photos, Maps and MLS Data Now! The subject property is being sold "As Is". MLS#21635242. Dan Moore Real Estate Services. North Park - Wonderful community with huge backyard, 3-car garage, high ceilings. 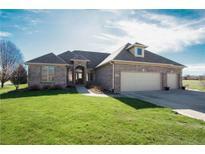 This home is move-in ready MLS#21632861. Jim Bleier. West Cambridge - *Huge Front Porch*Screened Back Porch*Custom Patio*3 Car garage*Huge Laundry & Mud room* MLS#21629121. 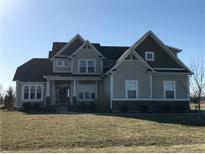 Keller Williams Indy Metro W.
Reserve At Woodland - Located between Brownsburg & Pittsboro in Woodland Hills MLS#21631698. Carpenter, REALTORS®. Brixton Woods - In this highly desirable and affordable area, this home won't last long! MLS#21630331. Trueblood Real Estate. Family memories are sure to be made here. Beautiful scenery all year long! MLS#21631064. Sold It Realty Group. Jefferson Park - Sit outside under a porch that goes the full length and is covered. Fenced yard. 3 car garage. MLS#21630342. CENTURY 21 Scheetz. 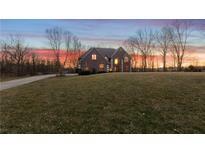 West Cambridge - Minutes from Shopping, Access to Highways, Airport & Downtown Indy! MLS#21628067. 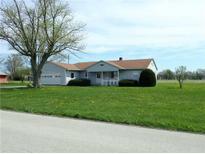 Keller Williams Indy Metro W.
Tout School Creek Estates - w/cute window seats and the list goes on... All of this on 4.99 acres!! ! MLS#21629401. CENTURY 21 Scheetz. Don't miss out. See today! MLS#21628823. 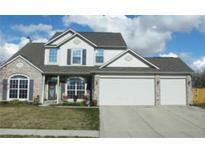 Keller Williams Indy Metro W.
All this plus 4 bedrooms, 2 1/2 baths plus lots of family living area! ! 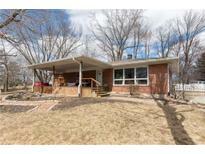 MLS#21626779. F.C. Tucker Company. Located on a nice corner lot. MLS#21624271. RE/MAX Centerstone. Jefferson Park - This won't last long, just in time for warm weather in your private back yard. MLS#21626604. D.M. Taylor Realty LLC. Ashton Park - Come and Find Out for Yourself, Then Just Move Right In :) MLS#21626854. F.C. Tucker Company. West Cambridge - This a must see and perfect location for any family. 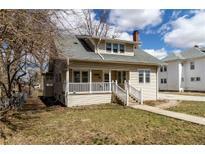 MLS#21623980. Ridenour Real Estate Services,. This home just ‘feels good’ – inside & out! MLS#21622675. F.C. Tucker Company. Enjoy sitting in your rocking chair on the massive front porch or enjoy the beautiful landscaping in the back yard which includes 4 Koi Ponds, firepit, garden, fruit tress & partial fence+3 storage barns. MLS#21618708. Sold It Realty Group. 2nd building has 12 storage units. 3rd building offers more storage. MLS#21606965. 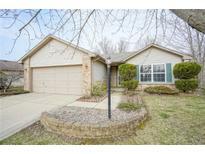 Keller Williams Indpls Metro N.
Woodland Hills - Property line extends into pond area. Very low maintenance home. MLS#21606590. RE/MAX Advanced Realty.